In the beginning, just what first started as a single style, a tank dress. 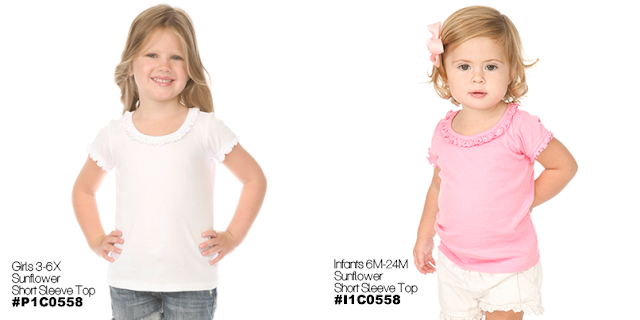 Style# P1C0331 & #I1C0330 introduced it's first debut as a new item in 2009, making it available for Girls and Infants. Inspired by a sunflower's sweet petals, it featured delicate ruffles along the neckline and bottom hem for an adorable look. And without a doubt as soon as the very first dress became available, our consumers have responded with the performance and the success of it for a very high demand! With suggestions and opinions that came flying through thanks to this growing, successful piece, we fast-forward to this day with The Sunflower Collection now comprising of dresses, short sleeve and long sleeve tops and bodysuits designed for Girls and Infants. Available for Girls sizes 3-6X and Infants 6M-24M in 3 style bodies. Featuring our two of our iconic pieces the tank dresses, a short sleeve dress and a long sleeve dress. And during cooler weather, we have The Sunflower Dress available in a Short Sleeve and Long Sleeve style body. But it doesn't stop there; we continued grow The Sunflower Collection by adding more style bodies per your requests! And we just wanted to let you know that we "heard you!" If you're seeking an alternative from The Sunflower Dress, we have the Short Sleeve and Long Sleeve tops available for Girls and Infants! 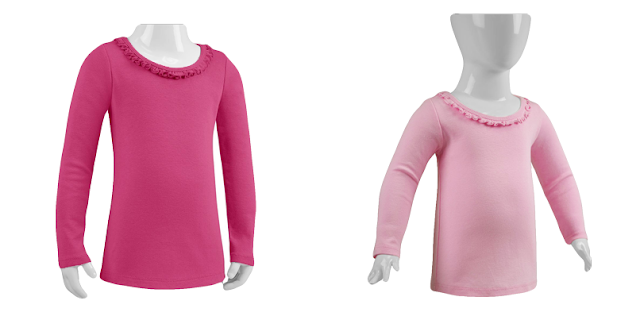 Featuring delicate ruffles along the neckline and sleeves for a super-cute look. Infants in a short sleeve style. With delicate ruffles along the neckline and sleeves, featuring 3 secure snap buttons at the bottom hem that makes dressing everyday easy.